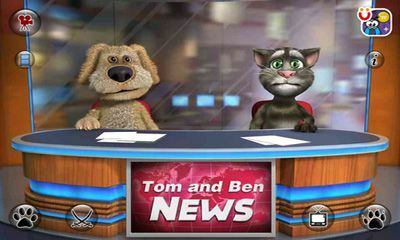 Talking Tom & Ben News - Favorite heroes come back! 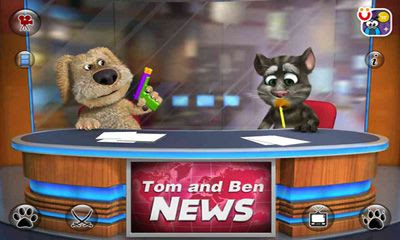 Tom and Ben are TV hosts now. They continue to joke and pin up each other over and over again. By means of the built-in camera on your device, you can shoot short video or load ready from the memory card. 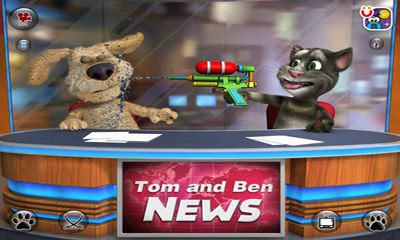 Cat and Dog - leaders of news will help to comment it. 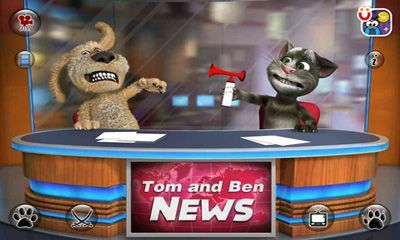 There is a possibility of record of video with the subsequent posting on YouTube, Facebook or sendings by e-mail.